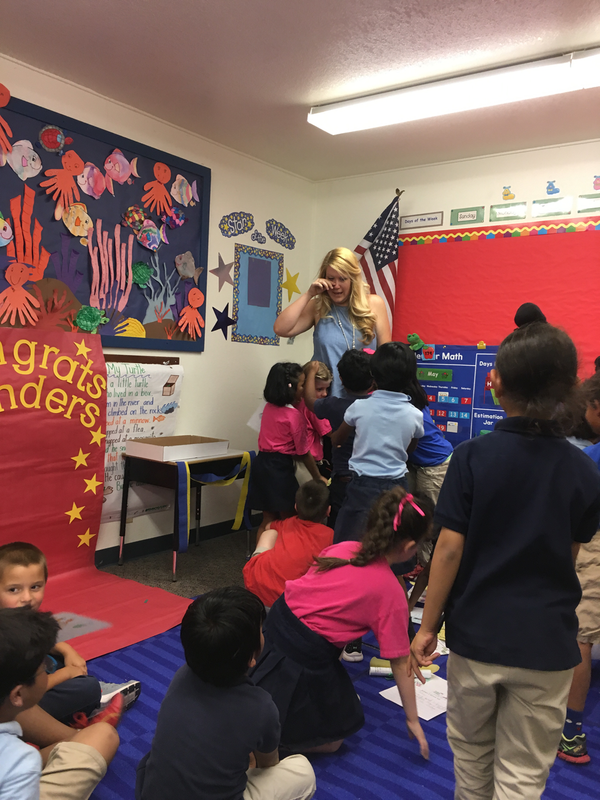 My hope in writing this post is to offer other moms and parents alike our experience in the charter school system and to give an honest account of our children’s education thus far. If you are struggling to make a decision about where to send your child to school you are not alone. We were once in a position of uncertainty too. All in all, I hope this article can give you some insight to make the right choice for you and your child. There are so many decisions about school these days aren’t there? You can choose between public, private, charter, and homeschooling. I can’t even begin to tell you how hard it was to make a decision about where our children should attend school! 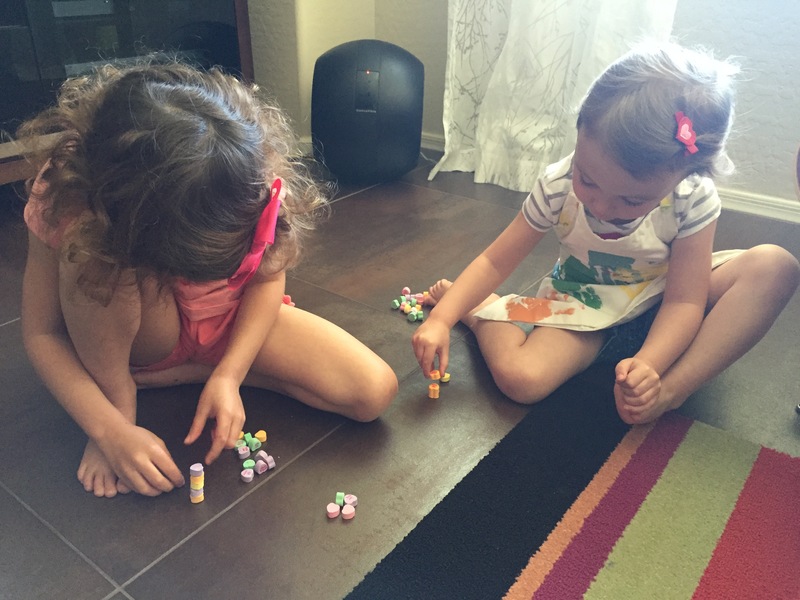 I homeschooled both Clara and Luci during their preschool years and enjoyed it very much, but I knew sending them to school was every bit of the goal. Clara, our oldest babe, unfortunately, was our guinea pig! We decided to send her to a local charter school because it made both my husband and I feel better to send her to a school that was a bit smaller, made learning the focus and wore uniforms. We could not have asked for a better teacher for Clara in kindergarten. She was so kind and helpful and still one of Clara’s favorite teachers! She always communicated with us and helped Clara when she was falling behind. 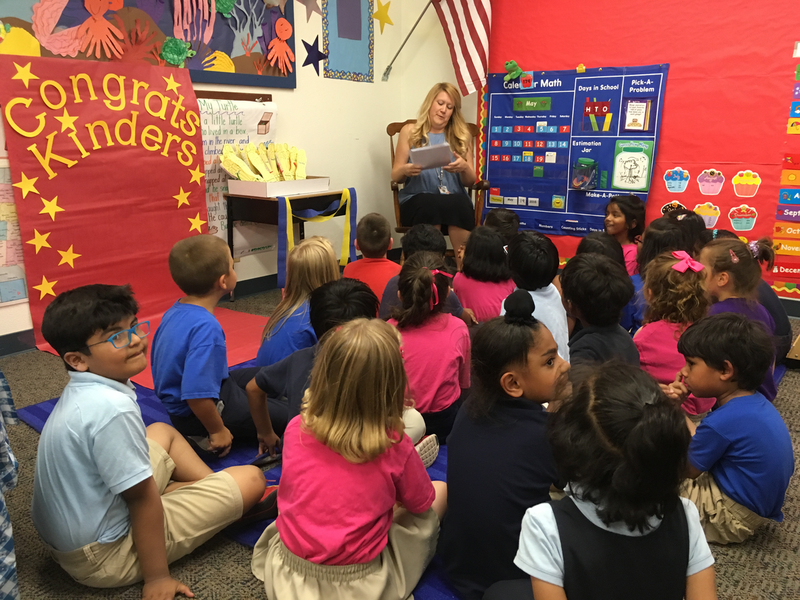 This teacher made all the difference and without her, I don’t know if we would have stayed! So, what do I mean by that? Well, this is a traditional school teaching phonograms, Saxon math and a place where regular testing is required. Also, each grade is like a grade above. Kindergarten is more like first grade and second grade is more like third grade and so on. Basically, we didn’t know what we were getting into and that is our fault! Clara graduated kindergarten beautifully but it did take a lot of work on everyone’s part. She read over 100 books too and we were so proud of her. We decided to stay and Clara entered first grade. 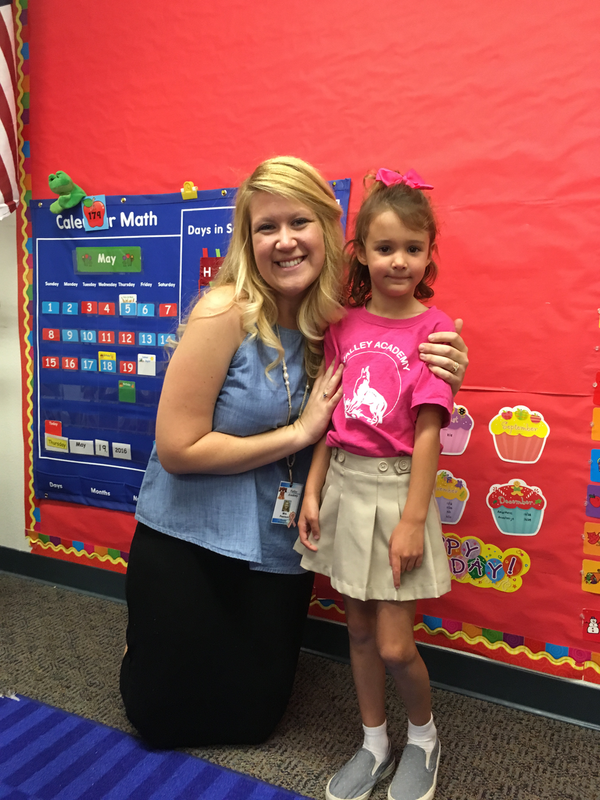 Her teacher was nice, but right away it was different than kindergarten. Not to mention her teacher left mid-year and was replaced with a teacher in her first year of teaching. 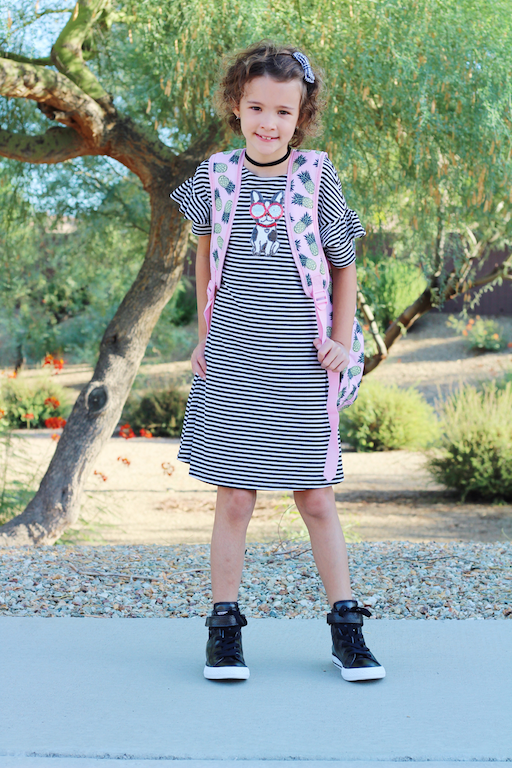 On average, Clara had about 40-50 minutes of homework every night along with memorizing weekly spelling words, monthly poems and writing book reports! We were religious about homework, but it was just too much for Clara and for us. Mind you, Luci was now in school too and even though she was not at this same school, she also required our attention with homework too. Long story short, we all struggled to keep up with this charter school and unfortunately didn’t receive much help from the administration. 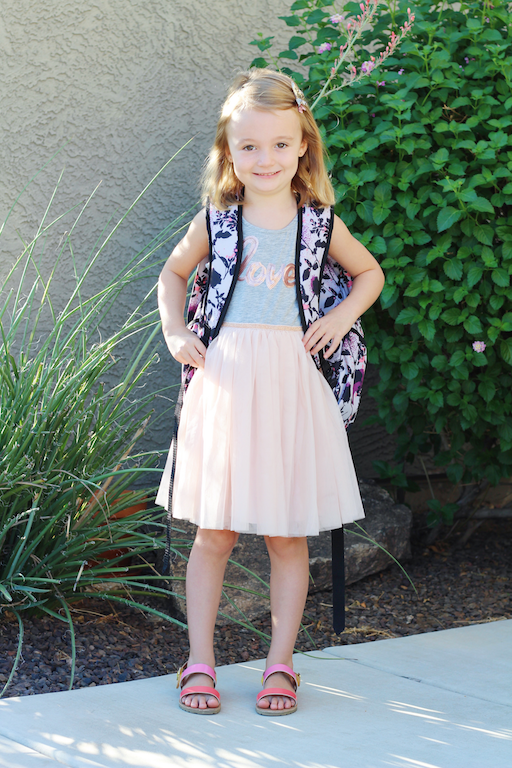 At one point, we were actually told if we unenrolled a month before the last day of first grade and enrolled her into another school she would do just fine! This was the exact moment when we knew we needed to make a switch. I broke down after she told me this and I quickly told her, “you are not dumb honey, but I don’t think this school is right for you anymore, it’s time to consider a change.” I prayed with her that night and again reassured her, but it was still a long process after this. 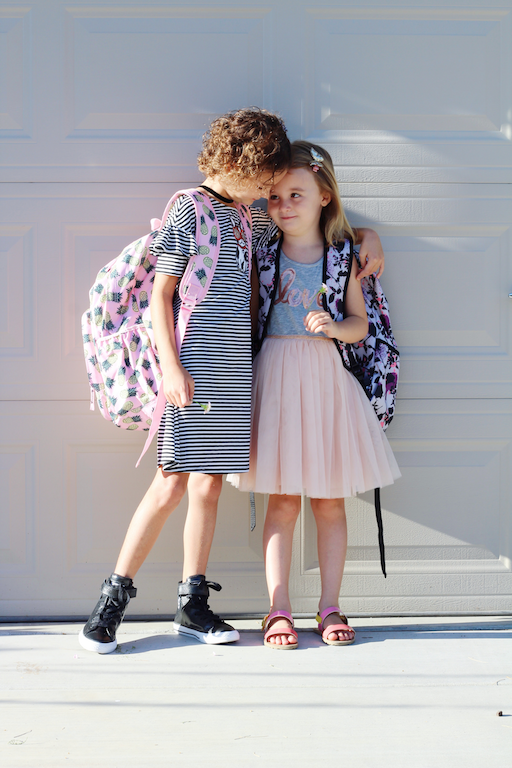 There were two weeks left of summer and we still had not made a decision if we were going back to the charter school along with Luci starting this year, or if we were going to consider our neighborhood school. I prayed but was not getting the clarity I desperately needed until I drove over to the neighborhood school to inquire. I said a quick prayer right before heading in and leaving forty minutes later I felt so relieved. My prayers, our prayers, were finally answered! We are over a month in at this new school and we could not be happier. The girls are so excited to walk to school every day and everything feels so much better. Clara is excelling and just started cheer after school and is having a ton of fun! Luci is right at home and enjoying keyboard lessons too. Both of their teachers are amazing and God is good! Clara our little Kindergarten graduate! Today marked the first official day of summer and Clara just graduated Kindergarten this past Friday say what? Yep, we hit a milestone and we are the proud parents of a little graduate. We were like two typical parents, I was crying and my husband was video taping away! I mean they sang, “it’s a beautiful world” by Louis Armstrong it was total water works for this mama! Then they each received a trophy for how many books they read for the year along with reading us a story they wrote. Clara worked really hard this year and it was tough for me at times. I have to say to Clara’s credit I was normally the one complaining about having to do homework. I am so glad my certain negativity or should I say laziness didn’t get the best of her little, eager spirit. 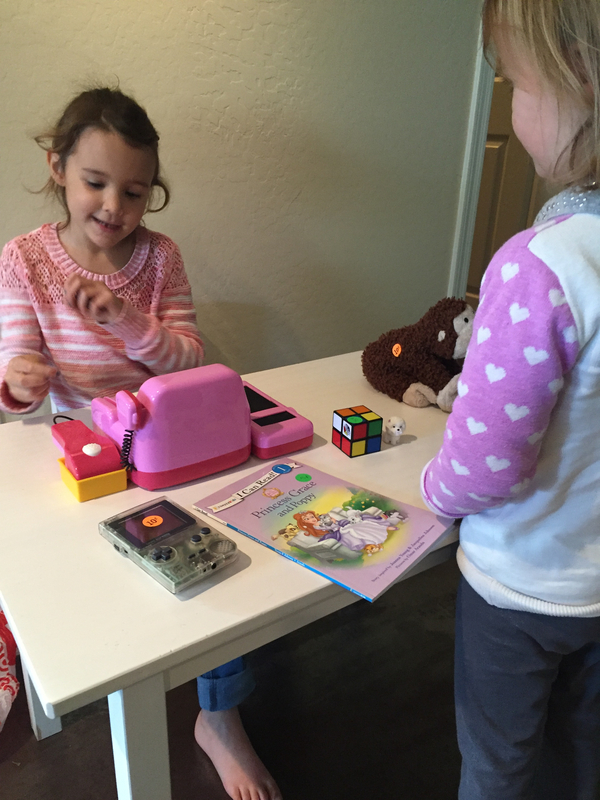 I was amazed Clara was always ready and willing to do her homework every day. Since I taught both my daughters preschool at home this was our first year of school. I can tell you I wasn’t totally prepared for phonograms and a homework assignment to do each night along with reading, math and spelling words as we progressed into the year, but my hubby and I tagged team together and it was like we were both going back to school, for real! I mean I never learned phonograms and how to correctly pronounce letters and sight words. I had some amazing teachers growing up in public school, but I don’t exactly remember how I learned the English language! Phonograms along with Saxon math are part of the Spalding learning method. 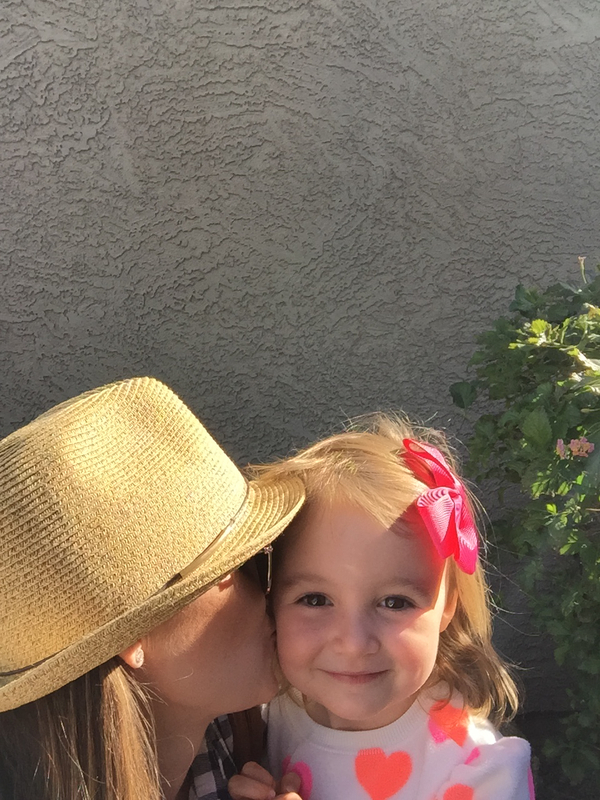 I love the way Clara is learning at her Charter school and I am so proud of her for finishing a full year of full day Kindergarten. She is our little graduate and we are so proud of her! So the first day of summer kicked off pretty well. The girls had back to back birthday parties so it was a non stop fun fest all weekend. So, I didn’t feel bad telling them they were going to the dentist today. I know sounds boring until you check out their dental office! So cool it is like Disneyland, I’m not kidding you feel like you are in line for Space mountain at this place. So besides checking off dental cleanings off our list, we plan on going to Hawaii fingers crossed for the first time as a family and we have VBS in just two short weeks. I hope to have plenty of swim playdates and trips to the Children’s museum too. Did you have little graduates this year? What types of things do you have planned for the summer? 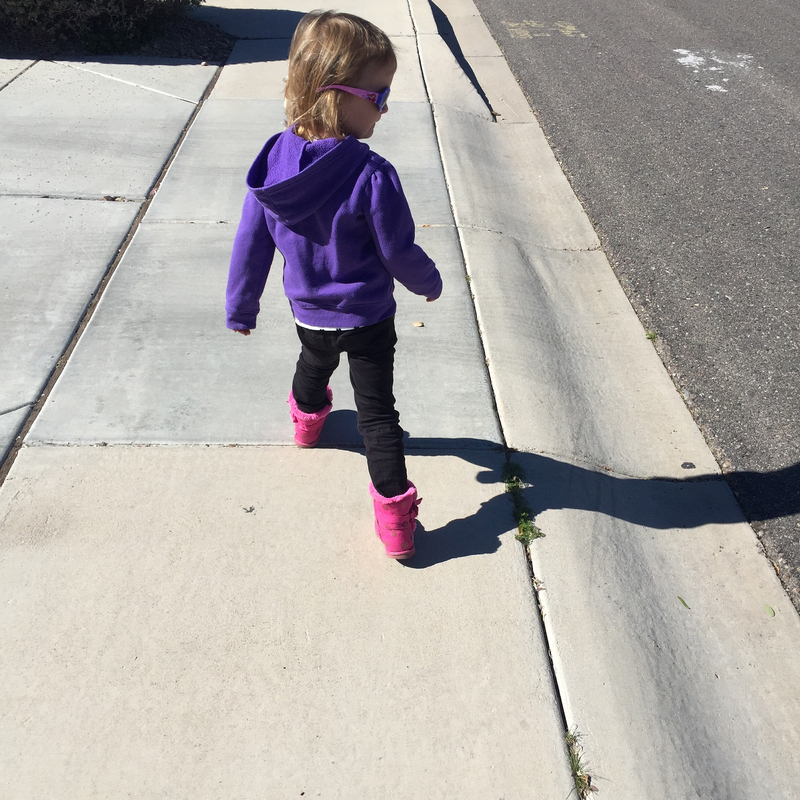 Previously, I wrote a post about feeling guilty in mothering my four-year-old and trying to balance other tasks, chores, and even working from home. I really thought I could manage all these things and more! Like in my mind I saw less sticky messes to clean and toys to trip over and pick up. Oh, and thank you Jesus, my little one still naps! I could not have been more wrong while my mind was kind of having a party thinking about how life was going to change with my oldest starting full day Kindergarten and me working primarily at home. Please don’t misunderstand Clara and I were both ready and excited for Kindergarten and the changes it would bring. 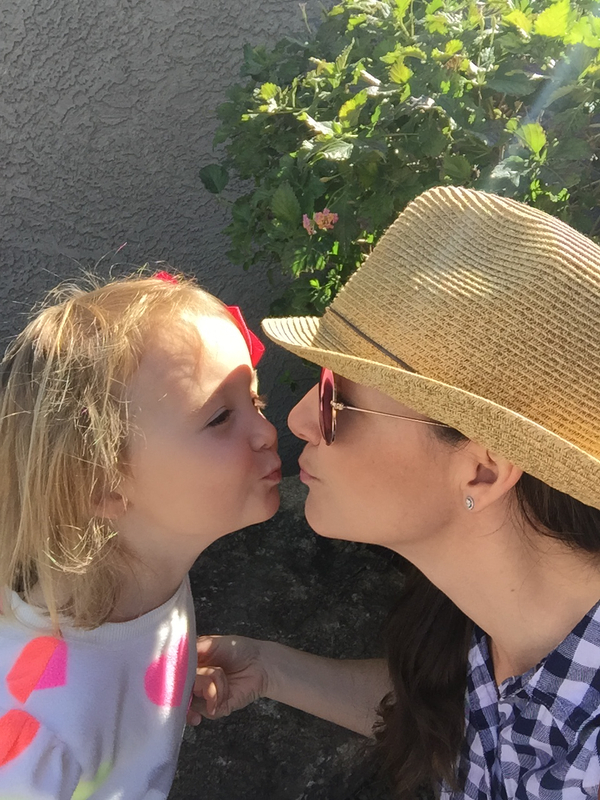 I was excited to have “Luci time” because before I was pregnant with Luci I got to have special one on one time with Clara and now I was looking forward to time like this with Luci. Another important factor I totally forgot about is that these two had been like twins for the last 4 years. They are only 19 months apart and it slipped my mind that they were always together. Now it’s not like I let them play all day, that would be very contrary. I mention in my earlier post that I had a good system in place for them and for me. Most mornings looked a bit like this… While they were eating breakfast or watching morning cartoons I would get dressed, shower, you get the picture. Then we would focus on Preschool learning for an hour sometimes longer each day, have lunch, do another activity, go for outings, etc. I could keep telling you about this schedule, but I don’t want to bore you with every detail. All in all, it was a good system for them and for me. For the most part, I felt like I could get things done and I felt accomplished. So, since I wrote about feeling guilty and the guilt was I have so much to do every day and here is my sweet four-year-old waiting for me all the time it seems. Somehow I didn’t add this into the picture correctly. My youngest is quiet and though she loves playing with her older sister she excels spending time alone. So I’m not at all saying I was planning on leaving her alone and I would endlessly do tasks all day long. I just thought it would be different and that most days would naturally balance out between us. For instance, when she was having her quiet play time I could squeeze in some work or put away laundry. This has not been the case with her though. She really values her “Mommy time” like nothing I have seen from her before. SPEND WITH MY 4 YR OLD! 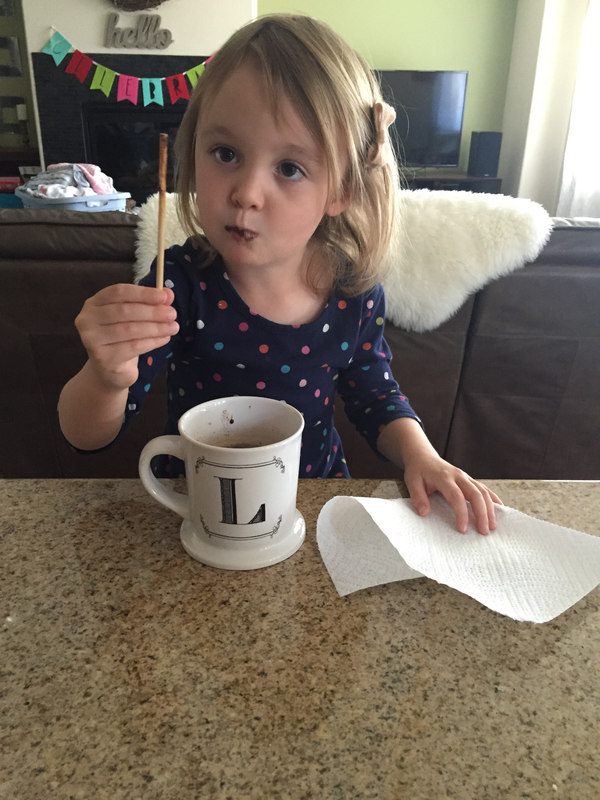 Worrying less about sticky messes! 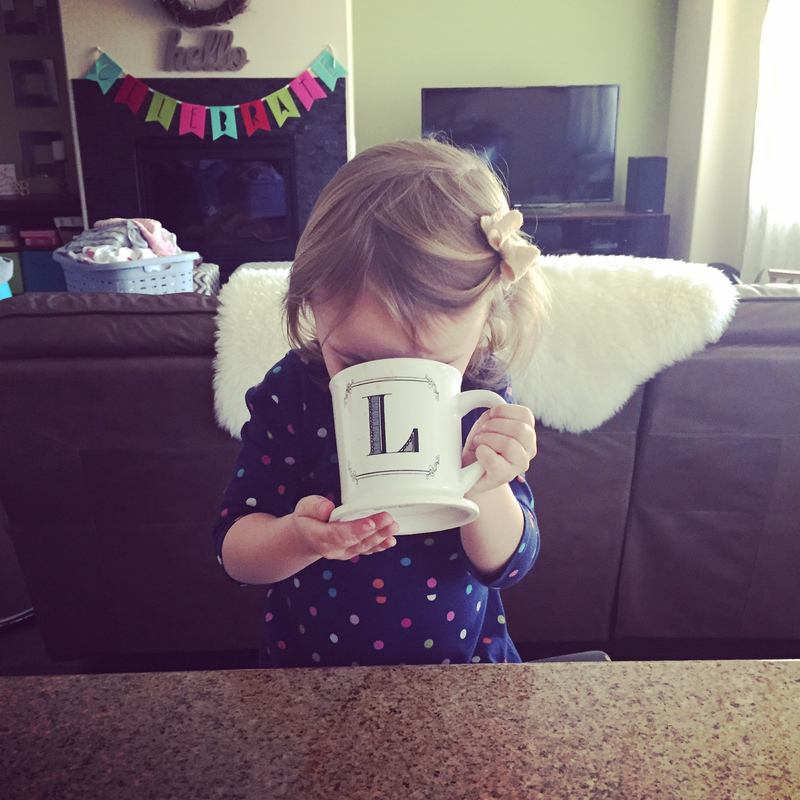 I get so excited during the holidays and I love coming up with cute crafts for my littles. 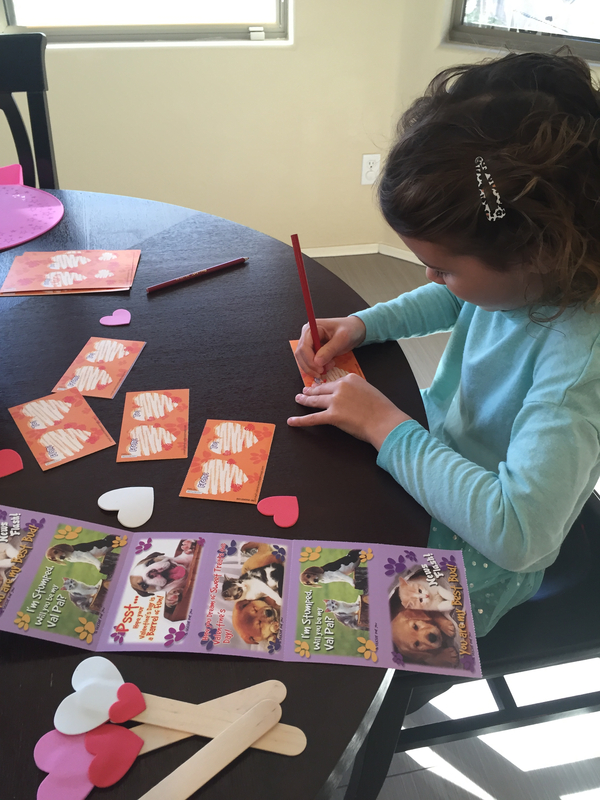 My daughter Clara is in Kindergarten and I decided to make these cute bookmarks because she is learning how to read and currently working hard on her reading logs. I’m hoping this idea encourages her and her class mates to keep practicing their reading. These are so easy and I already had most of the supplies, bonus! I am also going to add Hershey kisses along with cellophane bags to bundle it all. 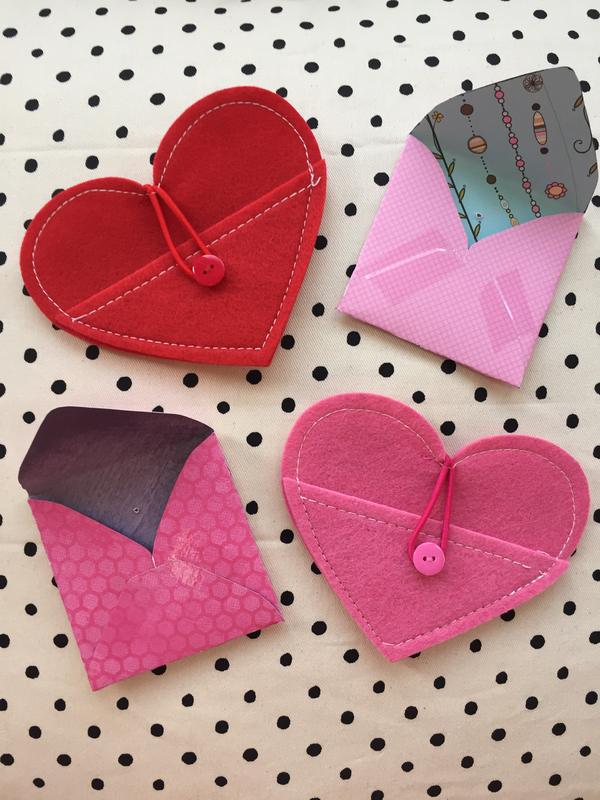 Easy, cute, inexpensive Valentines. 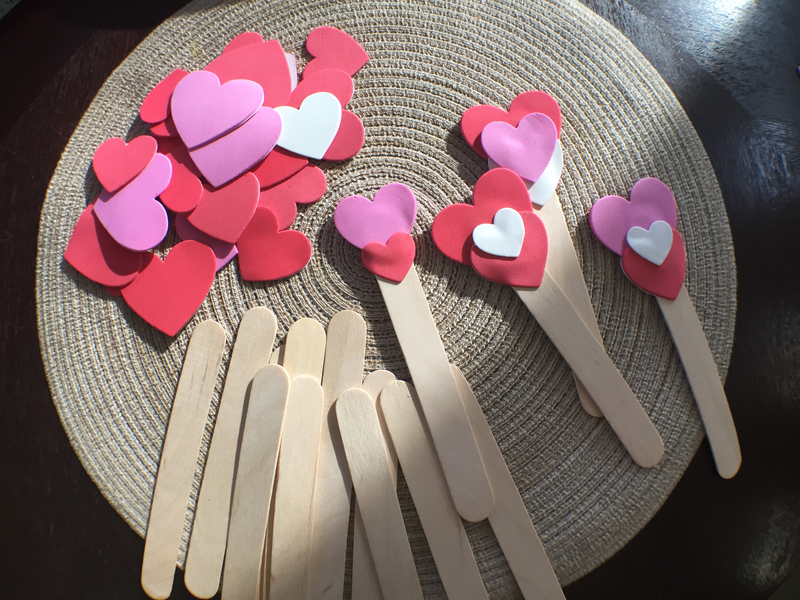 Jumbo popsicle sticks + foam heart stickers and boom cute, simple bookmarks! Feeling under the weather has its benefits Clara was delighted to help me put her valentines together and she was so excited to sign her name on each one. Here’s a little throwback from last year when we played “minute to win it” with conversation hearts and OMG we are bringing this one back guys so fun. I set my timer on my phone for a minute obviously right and they have to stack as high as they can go and of course they couldn’t wait to eat! 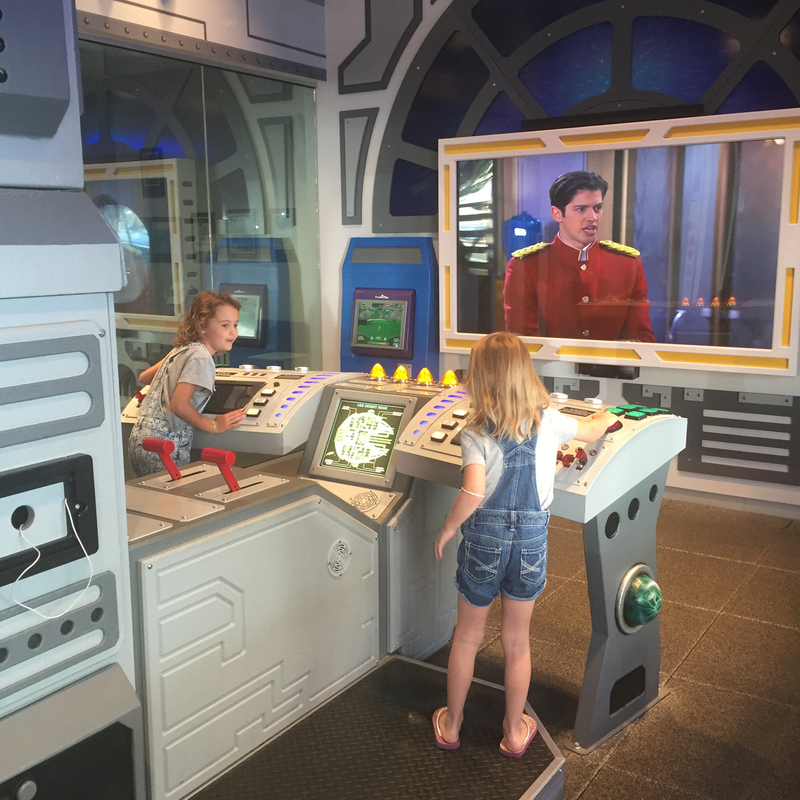 If you are looking for a fun and busy activity for your kiddos this is the one. I credit this idea to Pinterest! 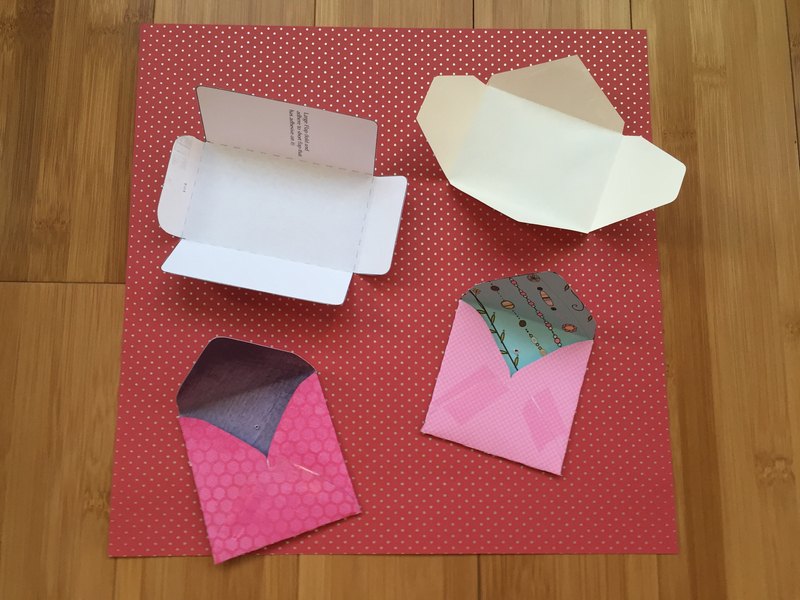 I love to collect little envelopes and to clone them just open them up trace on scrap book paper, cut and voila you got yourself more little envelopes! I think these are so cute to leave your loved ones sweet messages! 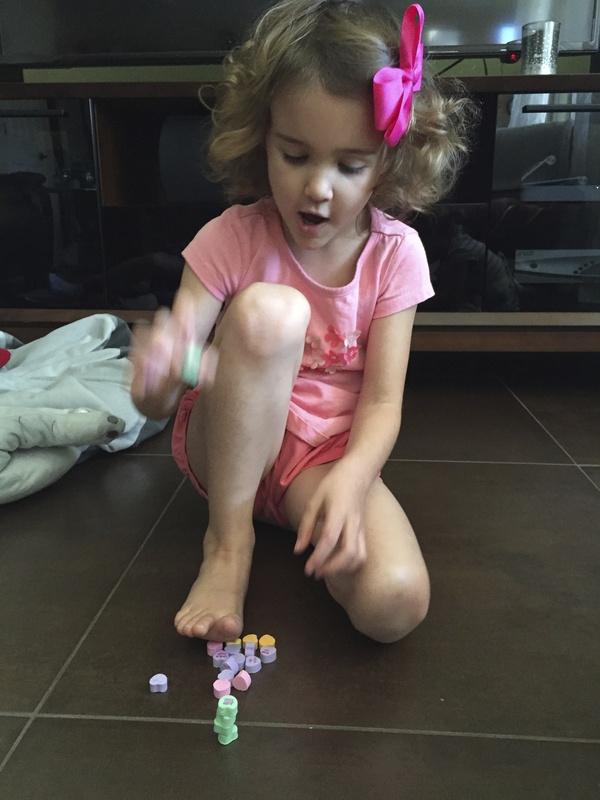 So Clara is in Kindergarten and she is learning how to count money up to 16 cents. 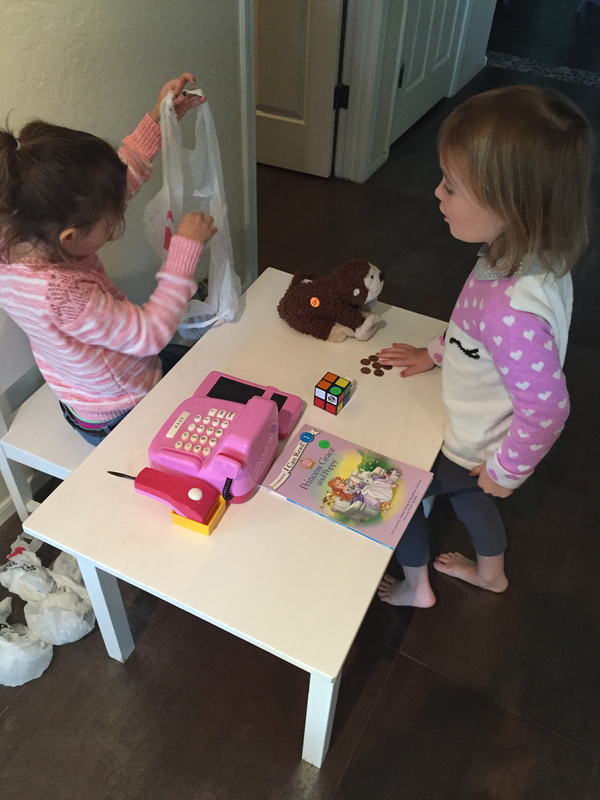 I used some leftover garage sale stickers and we gathered up some of their random toys to pretend like we were buying them! They really loved this idea and counting out the right amount of change. So loved how they thought about placing their purchases in bags too. I monitored this entire activity and would recommend since both small change and plastic bags can be dangerous to small children.